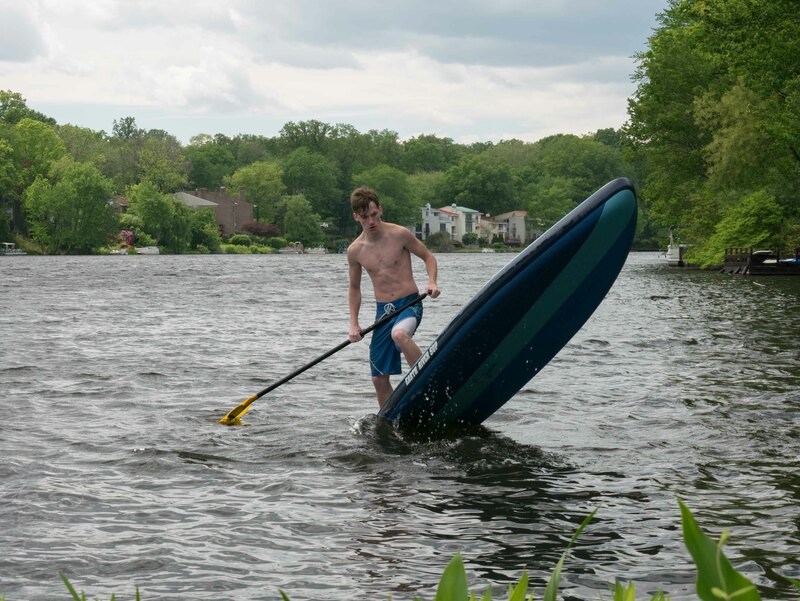 PERFECT FOR: Lake, coastal, or waterway exploration, paddling with passengers or cargo, overnight expeditions, racing on choppy water, for paddlers of all sizes. 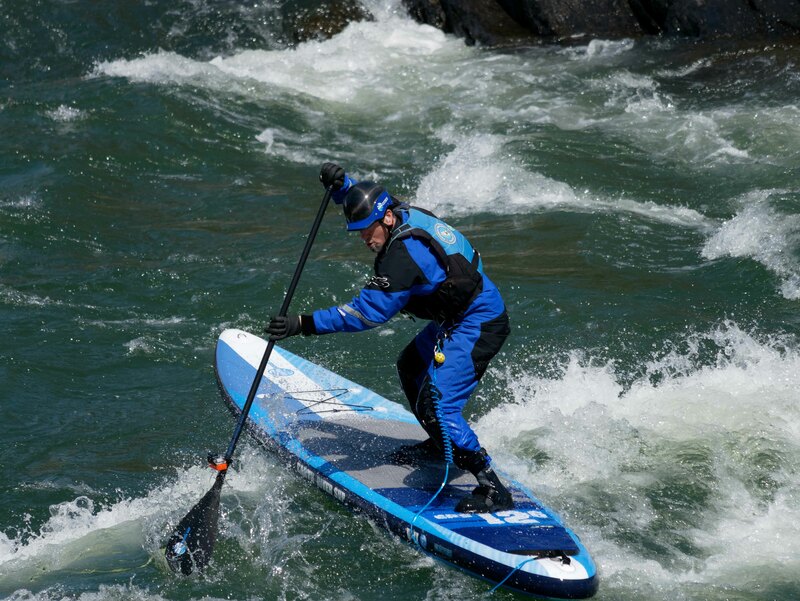 Can also be used in small surf and rapids. 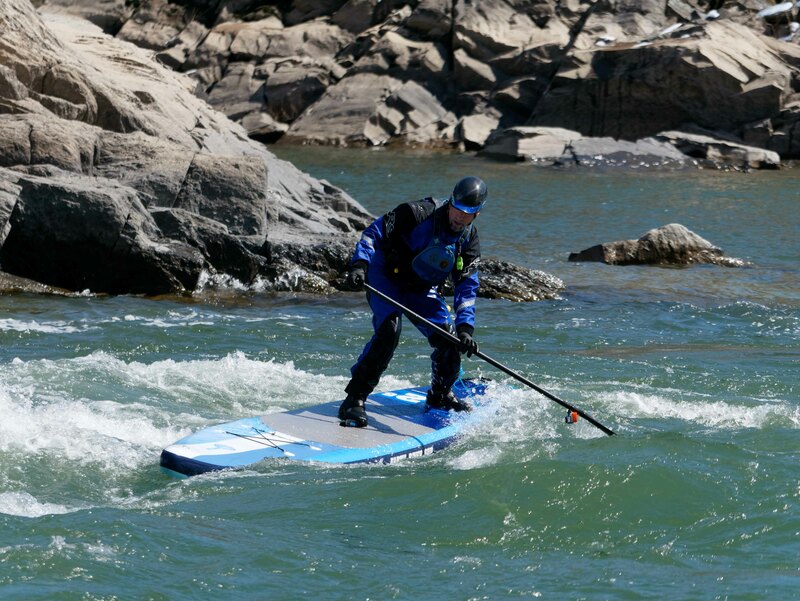 The Earth River SUP 12-6 Touring is the board that lets you cover the most distance with the least effort. Unlike many other boards in the 12’6” class, the ERS Touring is a full 32 inches wide, making it impressively fast without feeling tippy. 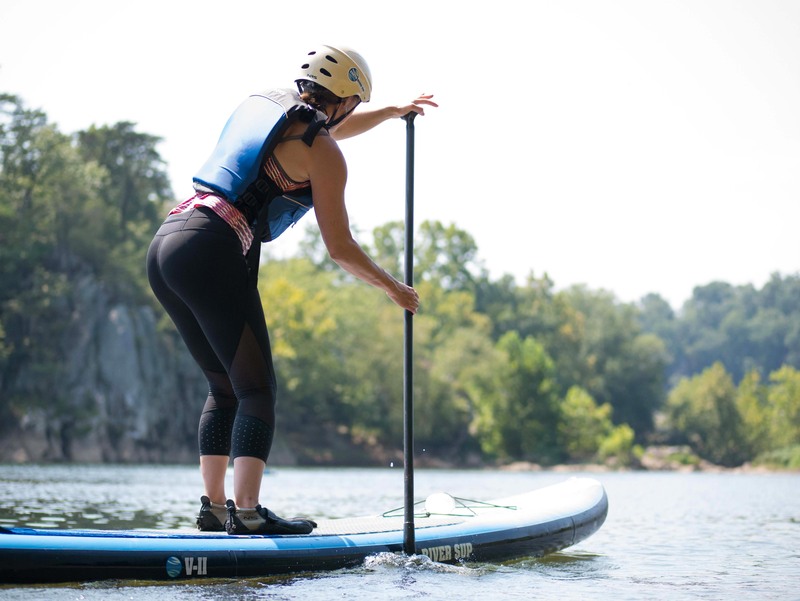 We've taken the best SUP backpack on the market, and made it better! Rugged, all terrain wheels, more padding at the front, easy-lift padded handles, a strap cover with dedicated hold section, and we've even made it easier to carry on your back. The ERS dual action pump balances portability with a dual pumping action that allows you to get your board inflated fast. If you are not sure about getting your manual pump on, check out the NEW portable ERS 12VDC + ERS GO™ option for stress free inflation - and keep your dual action handy as a backup. Includes all the fins, screws, and custom padded fin bag you see here! Fine tune your ride for any conditions and any type of water. The ERS standard US center fin boxes allow a degree of movement up and down the box to further modify the feel of your board. Put the center fin forward in the box for tighter turns or set it back for straighter tracking. Use your 4.5" or 2" side bites for stability and hold - or - remove them entirely and just paddle with a center fin. For more detail on the Lake River Coast™ Fin System please click see here. Fine tune your ride for any conditions and any type of water. The ERS standard US center fin boxes allow movement up and down the box to further modify the feel of your board. Put the center fin forward in the box for tighter turns or set it back for straighter tracking. Use your 4.5" or 2" side bites for stability and hold - or - remove them entirely and just paddle with a center fin. The 8" all round fin provides a great balance between tracking, turning, and speed. This fin should be your go to for most forms of paddling. 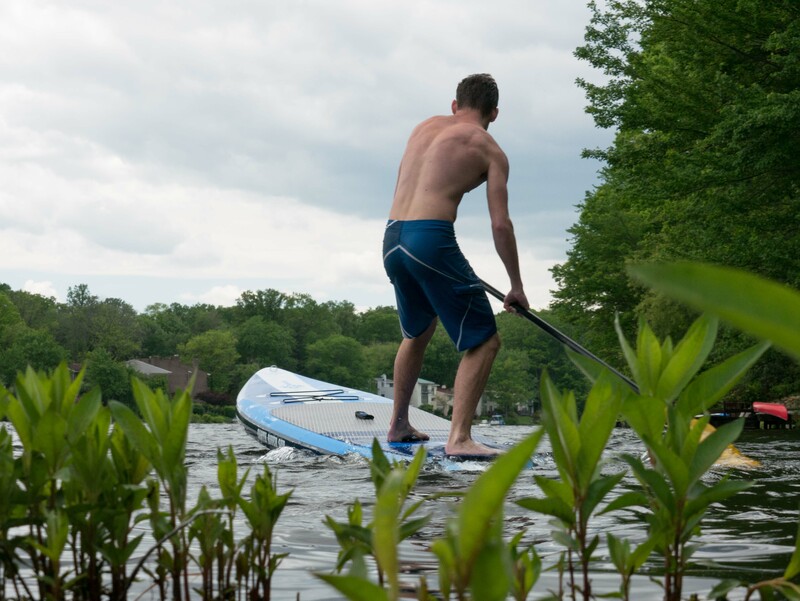 The 9" distance fin is great on when you just want to glide longer distances and excels at keeping the SUP straight, and enhancing stroke efficiency. 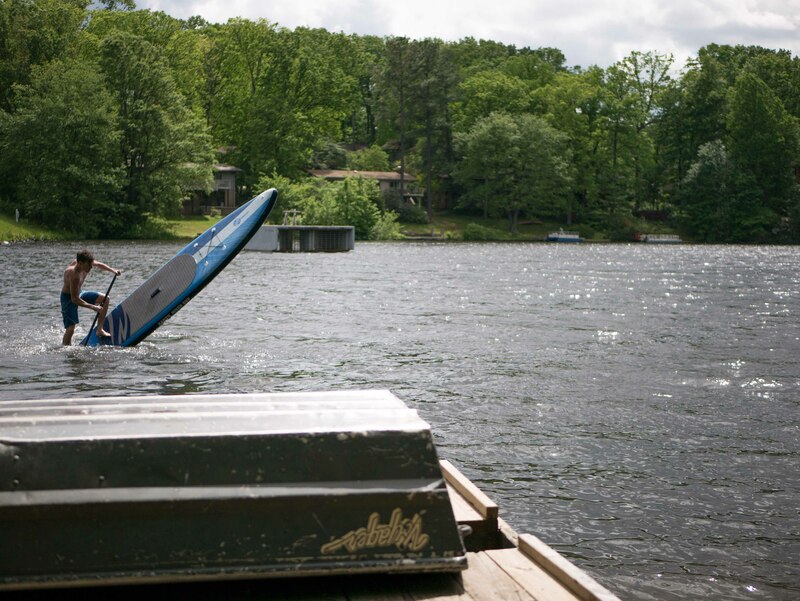 The 4.5" fin provides great speed across the water, fast turning, and is a lot of fun. Great for fast or slow water of inconsistent depth. The 3" centre fin is perfect for shallow water when there is possibility of contact. Combine this with the 2" clicks you can paddle almost anywhere. Great for hold and stability. 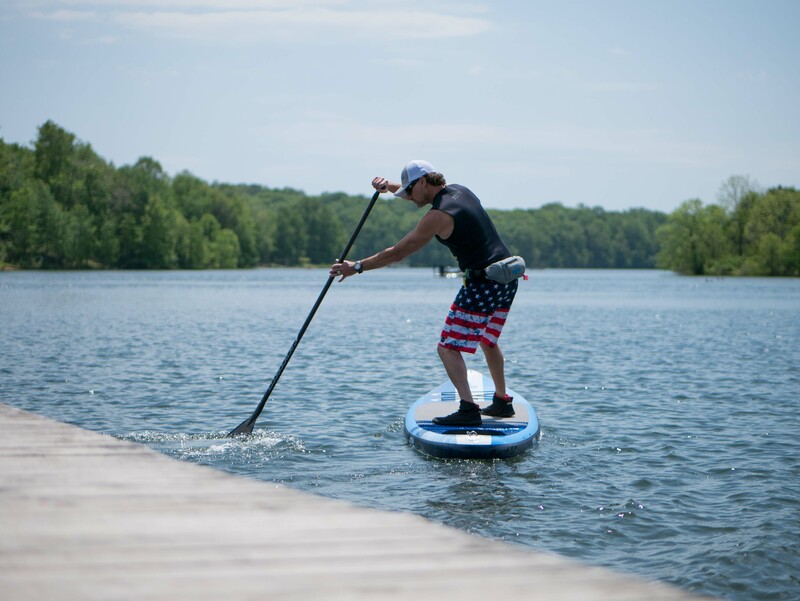 A SUP staple that gives you excellent grip and tracking assistance in any type of water. In extreme shallows, rocks, or unknown depths, switch up to the 2" low profile setup - or - for a looser grip on a longer single fin setup. Included is two centre fin thumb screws with plates - eight grub screws - and an ERS fin screw keys. We custom designed this bag to be an easy way to carry all your fins, keys, screws, and anything else you need to set off on your adventures. Grip you can trust in the toughest conditions. We've worked at refining a rubber compound to produce a stronger and up to 40% thicker deck pad than other well known high end SUP brands. In addition to its traction advantages we have kept the compound light so as to avoid adding unnecessary weight to our boards. The Ultra Grip diamond structure works by channeling water to increase dry surface contact. 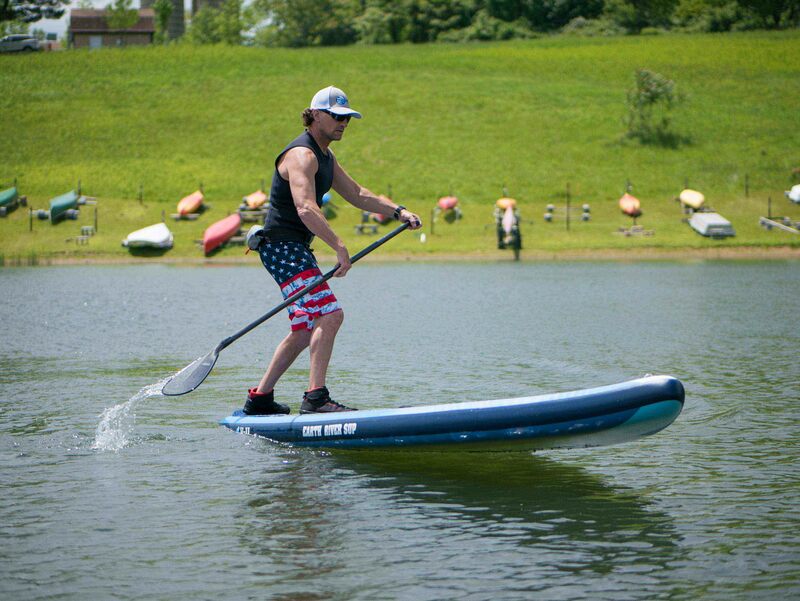 It's incredibly comfortable to stand on even for hours on end - and will perform every time, in any type of water. 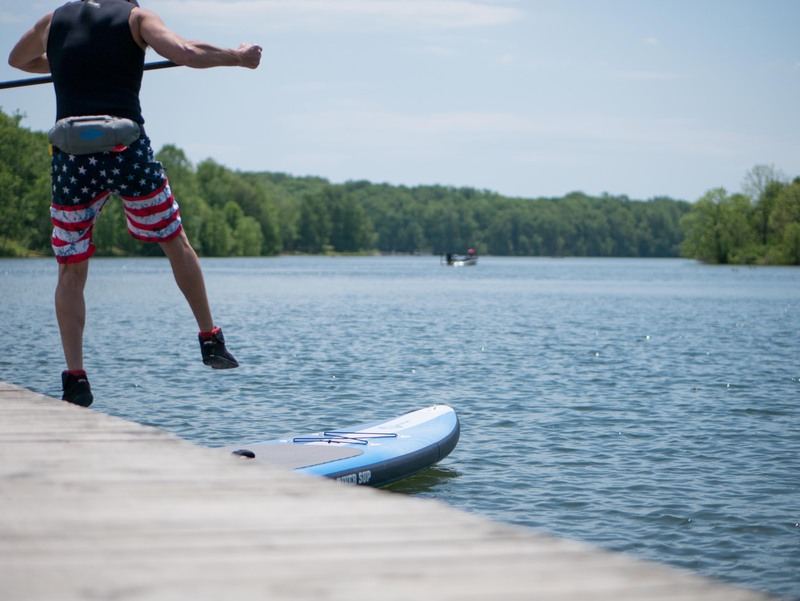 These are expert users of the Earth River SUP 10-0 that have been asked for their opinion on the board. These users have extensive use of these boards and choose to use them in there SUP instruction programs on a daily basis. 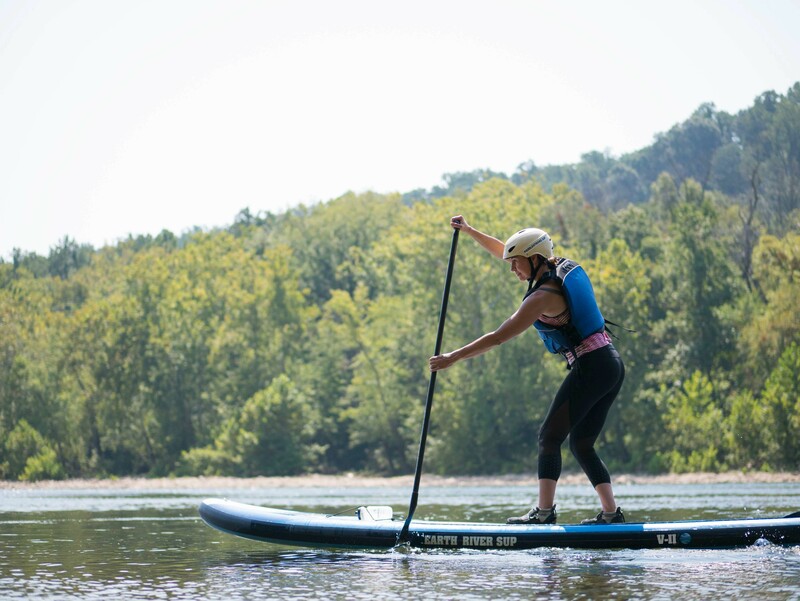 “The 10-0 is a great board that is performs in whitewater, surf, and flatwater. It turns on a dime and was designed to be a board that offers a lot of fun. The 33” is a nice stable platform on a short board but still allows you to get a nice technical stroke down. We use the several 10-0s in our fleet and even first time students take to it with ease. Uniquely designed, and built like a tank”. 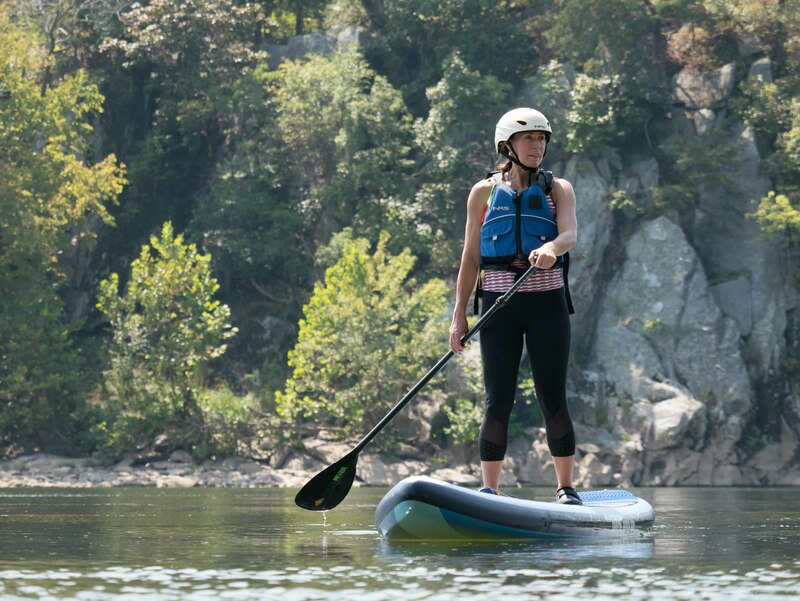 “The 10-0 is a great board that is performs in whitewater, surf, and flatwater. It turns on a dime and was designed to be a board that offers a lot of fun. The 33″ is a nice stable platform on a short board but still allows you to get a nice technical stroke down. “A really fun take anywhere, and do anything board. 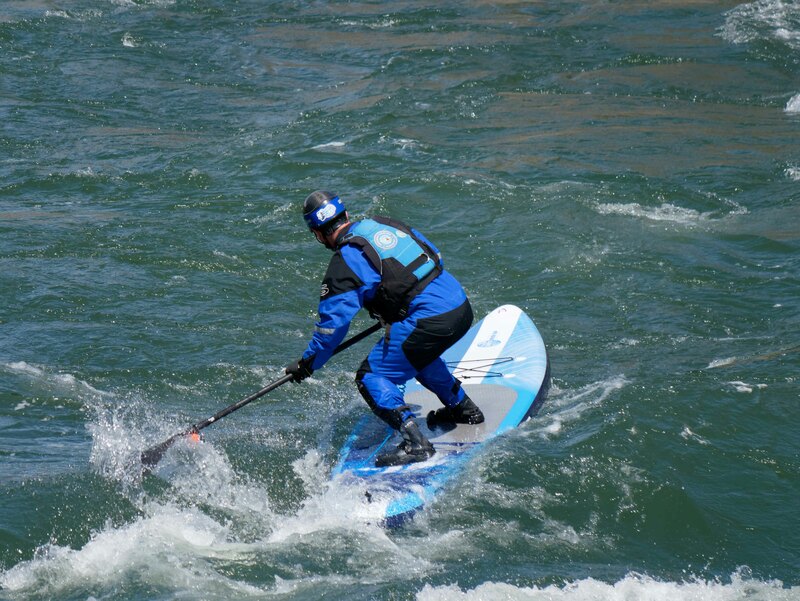 I’ve done several whitewater outings on it and the extra buoyancy really gives a nice lateral sway, to feel your way through. It’s feel does take a bit of getting used to, but once you find that balance point and get a sense for its unique shape and balance it’s a blast to ride”.